Visit the San Diego Zoo for your next best San Diego adventure and take a walk on the wild side. Heck, grab a seat on the popular guided bus tour. If you are looking for a slightly more enhanced version of the tour you may consider the comfort of an expedition shuttle cart. There is so much to see and experience at the ever so popular, world known San Diego Zoo. Grab a backstage pass and expect nothing less than star treatment while you experience an up close and personal introduction to exotic creatures at the San Diego Zoo. Vacation here at one of the most popular tourist destination in southern California. San Diego Zoo is one of best top San Diego attractions. 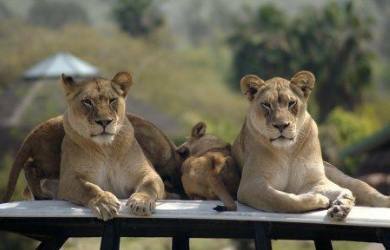 There are over 4000 animals, including rare, exotic and endangered species. It is not only a phenomenal zoo but also considered an expansive research facility. There are wonderful, entertaining shows and let’s not forget the exhibits. To name a few we suggest the Panda Exhibit, Polar Bear Plunge and Hippo Beach at the San Diego Zoo. Kids will love the San Diego Zoo cams to watch their favorite animals from home. The zoo is set in beautiful San Diego Balboa Park, and the zoo itself is a lovely botanical garden with over 700,000 plants, which enhances the total experience. For the horticulturalist in you may we suggest the Horticulture Tour. If you appreciate gardening then you will be astounded by the world-class botanical garden that exist just inside the gates of this one of a kind zoo. 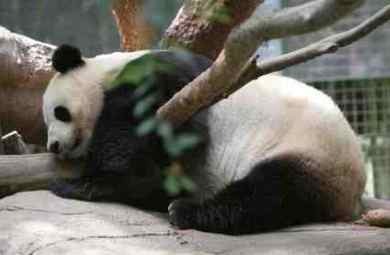 The San Diego Zoo is one of four zoos in the United State to have giant pandas. Animals include such variety as Buerger’s tree kangaroos of New guinea, long-billed kiwis from New Zealand, lowland gorillas from Africa, and giant tortoises from the Galapagos islands. Nearby you can explore other top theme parks in southern California including Sea World San Diego and Legoland California. Visit the zoo's sister attraction, the San Diego Zoo Safari Park. Located northeast of San Diego in Escondido, Calif., the Safari Park showcases African animals in a more spacious, natural setting. 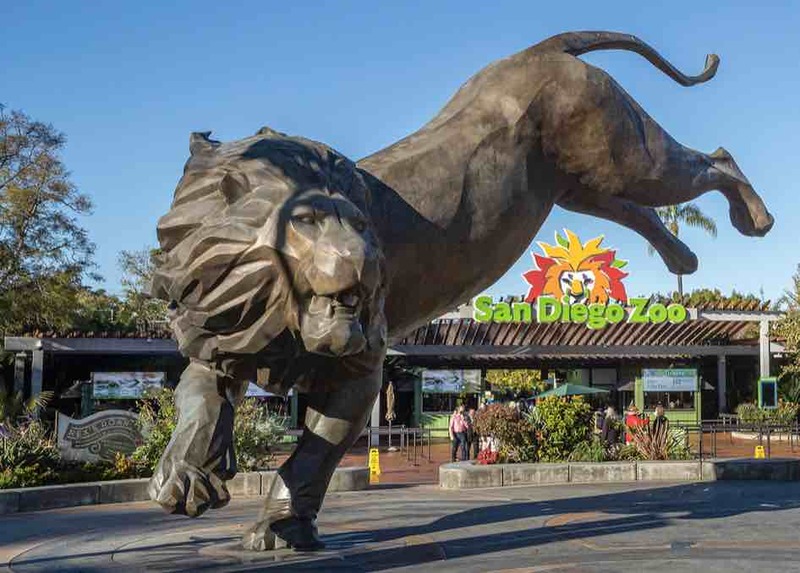 San Diego Zoo is an extraordinary experience, with over 4,000 animals in botanical garden setting in the heart of San Diego treasures – Balboa Park. Founded in 1916, the zoo has both rare animals and luscious, mature plants. Operating Hours: Daily from 9 AM – 5 PM or later. During the summer, the night time zoo is open until 9 PM. Open every day, including Christmas, New Years Day, and all major holidays. Ticket Prices: For ticket prices for San Diego Zoo, see San Diego Zoo Prices. There are many San Diego Zoo coupons, discounts, and special passes. For more information, see Discount Tickets San Diego Zoo. Attractions: The zoo is famous for both its collection of animals and plants. One of the best ways to see the zoo is to take a 35 minute guided bus tour of the park, which is included in the price of admission. You can see about 70% of the zoo this way, and the tour gives you a break from walking. 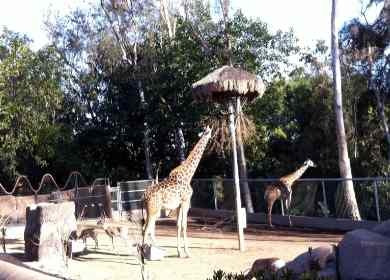 From home you can take a peek at some animals via the San Diego Zoo Web Cams. Food: The Zoo in San Diego Cal. has a number of dining facilities and food stands, including all-American or international fare, snacks, and healthy alternatives. 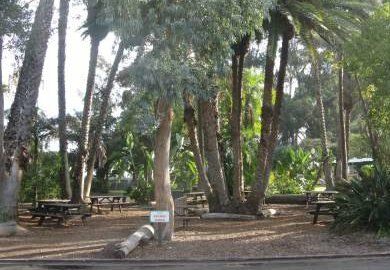 Right outside the zoo entrance is a lovely picnic area (see photo below), and of course since you are in Balboa Park, consider bringing a picnic lunch and enjoy some beautiful southern California weather. There are many cheap hotels in downtown San Diego, close to the San Diego Zoo and other San Diego attractions. Before you decide your hotel, think about what activities you'd like to do to choose the best hotel. We have some suggestions on Cheap Hotels San Diego and San Diego Beach Hotels. While you are visiting San Diego, be sure to see more of San Diego Balboa Park (the organ pavilion is shown in the photo above, and the Balboa Park Museums. Be sure to take the Park Blvd entrance to the zoo, as other entrances are sometimes closed for events in Balboa Park. Directions from the North (Los Angeles and Orange County) - From Interstate 5, take the Pershing Drive exit and follow the signs. From Interstate 15 (Escondido and Riverside), take State Route 163 south to the Park Blvd./I-5 South exit. Exit at Park Blvd. Turn left on Park Blvd. and head north; Zoo entrance is off Park Blvd. at Zoo Place. Directions from the South (Mexico) - From Interstate 5, take the State Route 163 north exit, then the Zoo/Museums (Richmond Street) exit and follow the signs. Directions from the East (Imperial County and Arizona) - From Interstate 8, take State Route 163 south to the Park Blvd./I-5 South exit. Exit at Park Blvd. Turn left on Park Blvd. and head north; Zoo entrance is off Park Blvd at Zoo Place. From State Route 94, proceed into downtown San Diego to 12th Avenue. Turn right on 12th Avenue (which turns into Park Blvd.) and proceed north. Zoo entrance is off Park Blvd at Zoo Place. Click on the link above to open the Google Map for the San Diego Zoo and other attractions in San Diego and southern California.